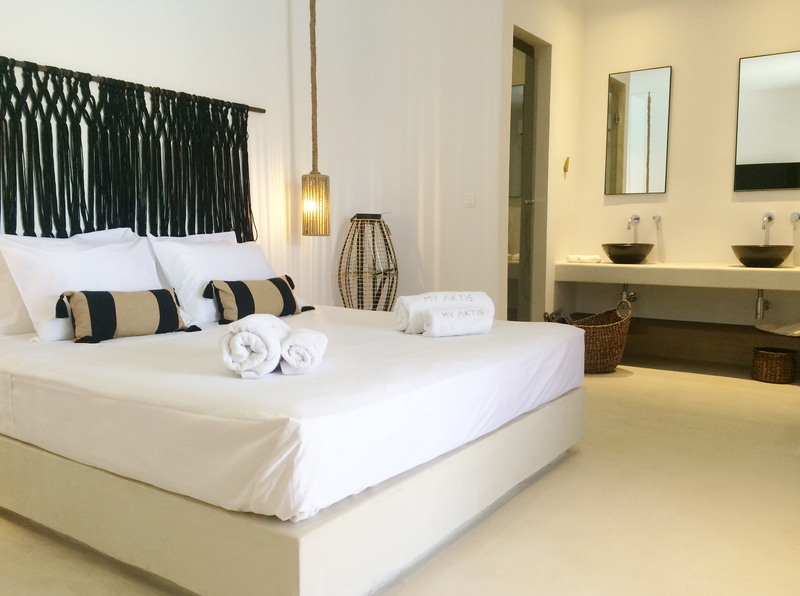 The beach front Deluxe suite sea view & private pool is situated in a complex of luxury Suites and Villas in Super Paradise beach. 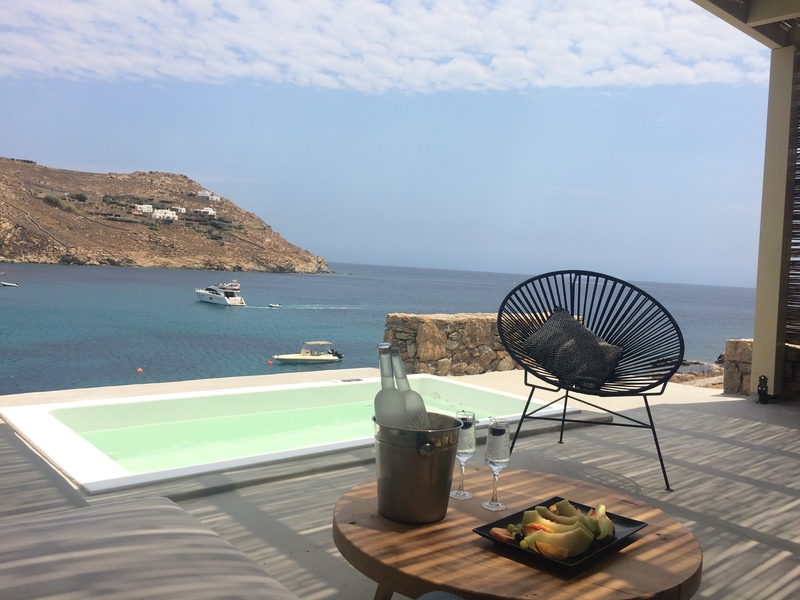 The great asset Is the proximity to the sea just 30 meters from the water that you have access to private rocky beach to jump in to the seawater for a coolest moments. The total space of 28 s.m. , is an open space and has an abundance of indoor & outdoor spaces, which are luxuriously furnished to the highest quality and detail and according to the latest design trends. 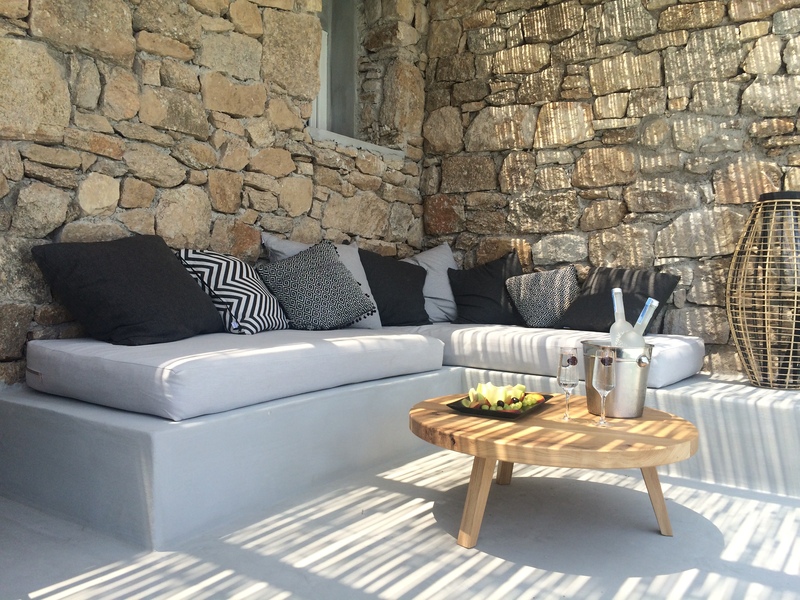 The mini private pool is surrounded by comfortable sofa beds that blends perfectly with the rocky landscape . 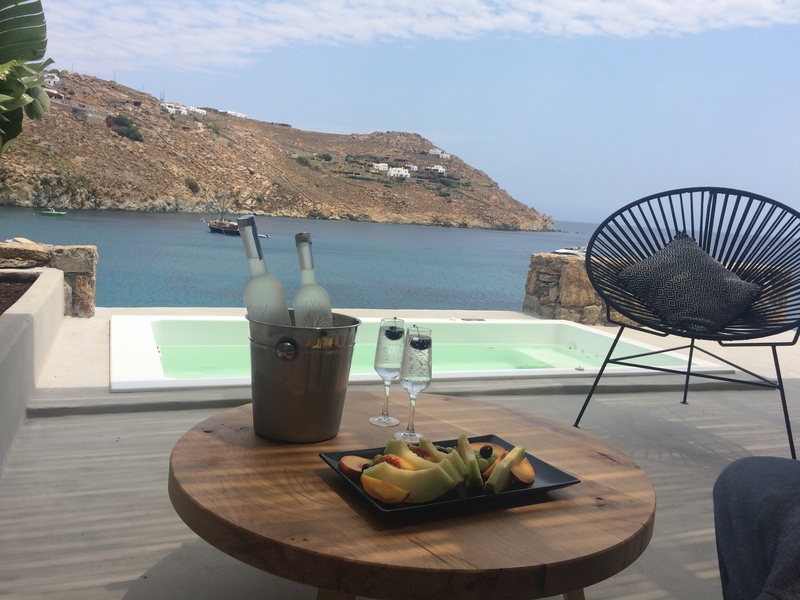 The sea view is just amazing and the sound from the sea that strikes the rocks, it raises your senses to the highest level . 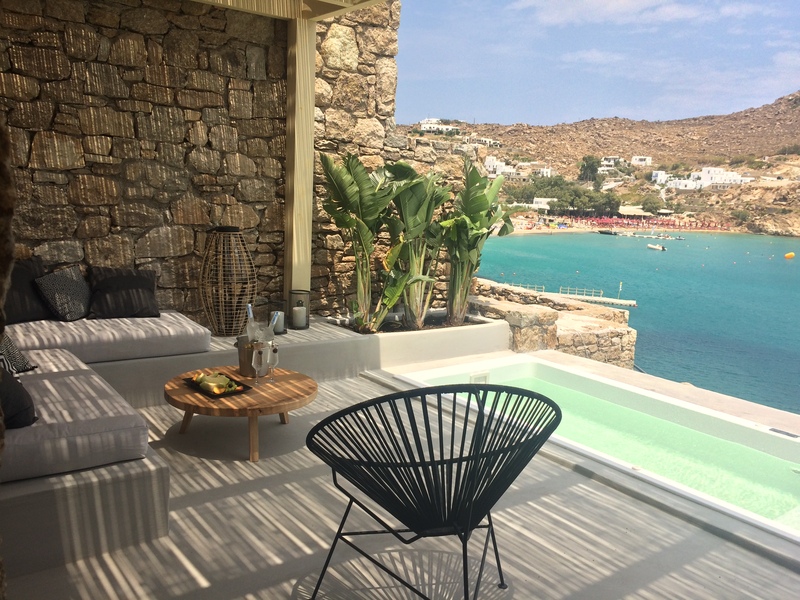 The Suite also fully equipped , including Smart TVs (in each bedroom) Super Paradise beach is undoubtedly one of the best in Mykonos with the famous restaurant beach bar Jackie O , Pinky beach , Super Paradise beach club .